Technology journalist M. Serdar Kuzuloğlu was detained over his alleged links to the Gülen movement, which the government accuses of masterminding the July 15 failed putsch, on Wednesday. According to Turkish media, Kuzuloğlu was detained for his alleged used of ByLock, an encrypted mobile app that Turkish prosecutors claim to be the top communication tool among Gulenists. “I am being detained as part of the FETÖ investigation. 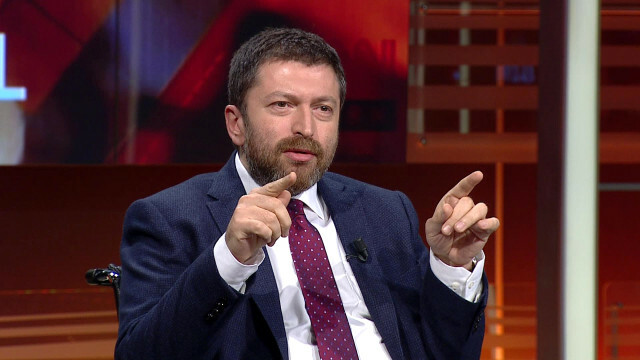 I cannot believe,” Kuzuloğlu said in a controversial tweet, which was deleted after a while. Some media outlets reported that Kuzuloğlu’s relatives confirmed the detention. He was reportedly rounded up as part of a Wednesday investigation into the now-defunct Journalists and Writers’ Foundation (GYV), a sweeping probe in which an Istanbul prosecutor ordered detention warrants for 112 people including GYV’s former members and executives. Gulen movement denies involvement in the coup however some 130,000 people were detained over ties to the group since July 15, 2016.